Super soft roll sleeve T-shirt with pocket. 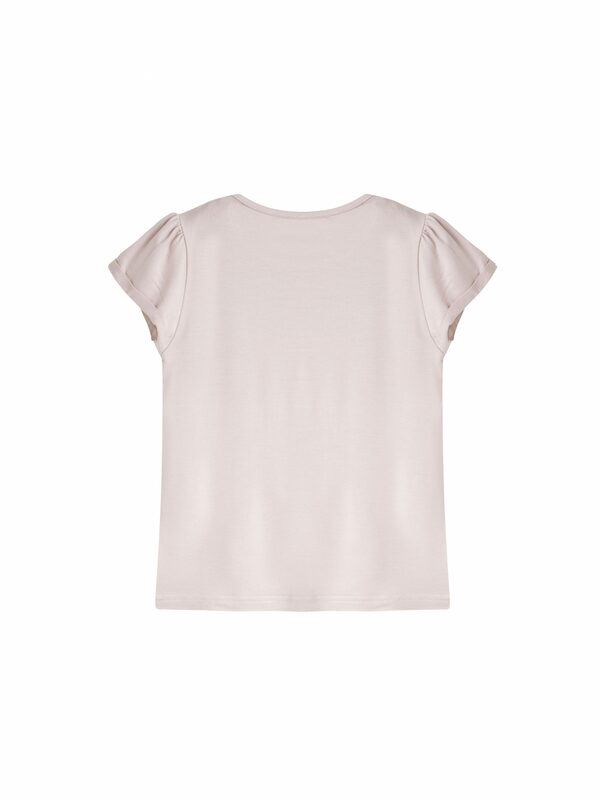 Our Kate T-shirt is made with super soft stretch jersey, which drapes beautifully and feels wonderfully soft next to the skin. Design details like the gently ruched rolled up sleeves and chest pocket, give this staple style a simple elegance whilst feeling amazingly comfortable to wear. The Kate T-shirt looks great worn with all our styles, especially with our Daisy Dungaree or Mary Mini Skirt.